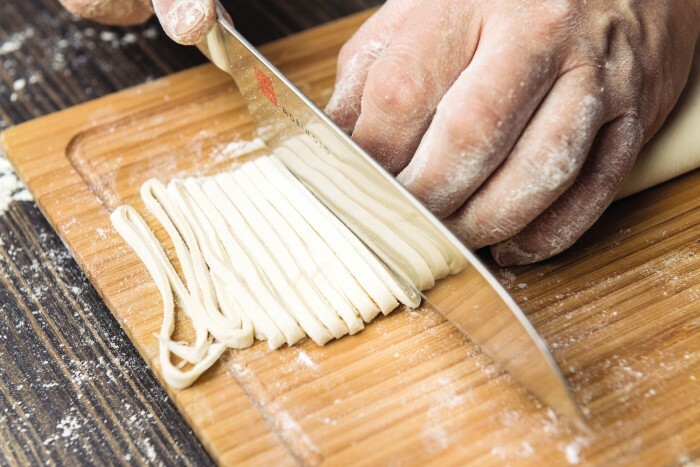 Learn how to make udon noodles at home from master Japanese chef Masaharu Morimoto. Ever wonder how to make udon noodles at home? Leave it to Masaharu Morimoto to teach you the definitive way. Morimoto’s follow-up to his 2007 best-seller The New Art of Japanese Cooking is packed with essential wisdom on rice cookery, the science of furikake, the importance of bonito and the dexterity-heavy art of the sweet rolled omelet. If there’s a classic Japanese home-cooking technique you’ve been wanting to learn, whether it’s perfect tempura, flawlessly folded shumai or a simple bowl of noodles, this is the book to buy. Dried udon noodles are fine. Store-bought precooked udon work well. But there’s nothing like homemade udon, and believe it or not, you really can make the irresistibly slick, chewy, springy noodles at home. Udon take no great skill. Just ﬂour, water, a rolling pin, and a little patience. If kneading the dough, which activates the gluten in the ﬂour and gives the noodles their texture, makes your arms tired, do what home cooks in Japan do: Put the dough in a resealable plastic bag, wrap it in a towel, and knead with your feet! Combine the ﬂour and salt in a large mixing bowl, stir, then add 1¼ cups of the water. Use your hands to mix until the dough starts to come together in a few large lumps. Start to ﬁrmly press and knead the dough, incorporating the loose ﬂour until there’s none left. If necessary, add a little more water, 1 tablespoon at a time, until you can incorporate all of the ﬂour. Lightly dust a work surface with ﬂour, add the dough, and knead (folding and ﬁrmly pressing with your palm, folding and pressing) until the dough looks and feels fairly smooth, about 5 minutes. Form the dough into a ball, wrap it in plastic wrap, and let it rest at room temperature for 1 hour. 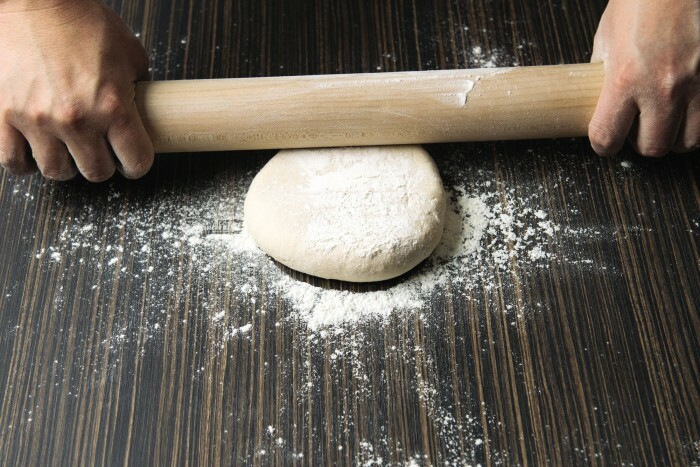 On a lightly ﬂoured surface with ample room, knead it again for about 2 minutes. 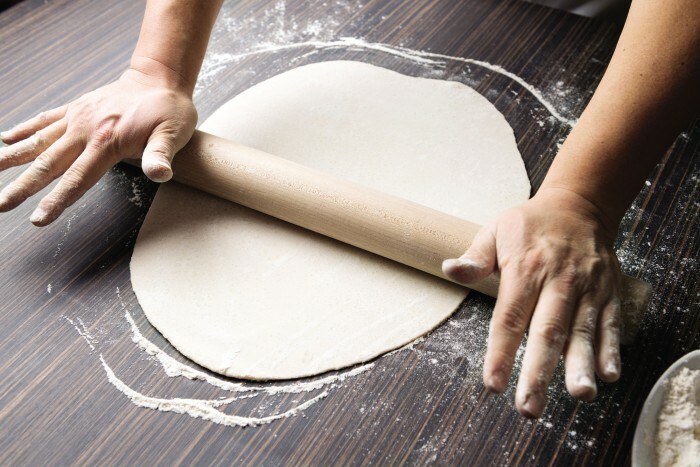 Lightly dust both sides with ﬂour, then use a rolling pin to roll the dough, occasionally rotating the dough 90 degrees and lightly dusting with ﬂour if it threatens to stick to the pin, into a rough, approximately 17-inch circle with an even thickness (slightly less than ¼ inch). 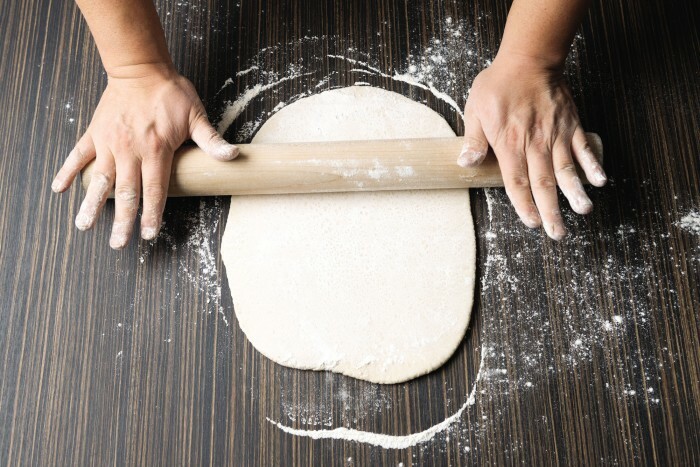 If you are having difﬁculty rolling, allow the dough to rest for 5 to 10 minutes as needed. This allows the glutens to relax and make it easier to roll out. 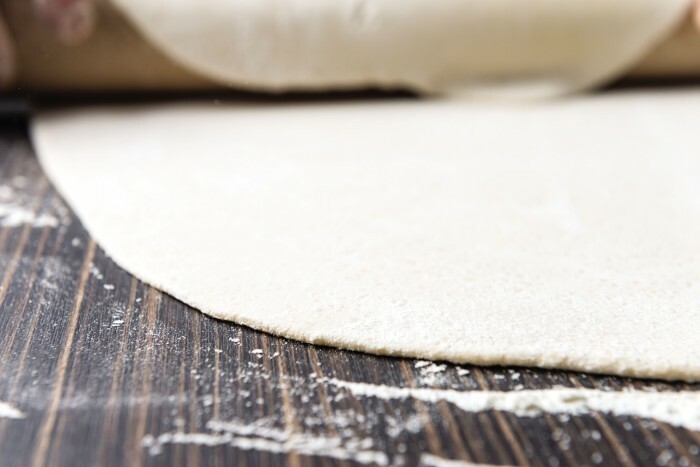 Fold the dough into thirds, then slice widthwise into approximately ⅛-inch-thick noodles. 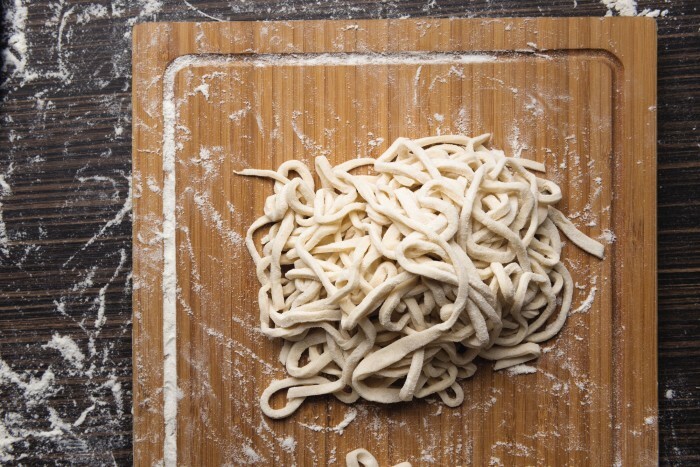 Gently separate the noodles and toss them with a little bit of ﬂour, just so they don’t stick together. Cook right away. The way you cook homemade noodles is slightly different from the way you cook purchased noodles. Follow these instructions whether you’re planning to serve the noodles hot or cold. Drain them, then transfer them to the icy water. Brieﬂy and gently rub them with your hands to remove some of the starch. Drain very well.